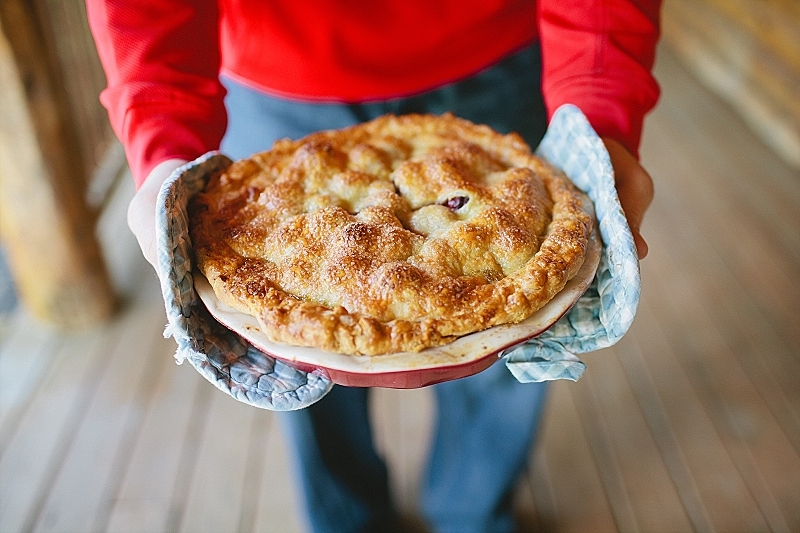 Brittany Thomas | the blog: thomas keller's cherry pie + our favorite marinade. 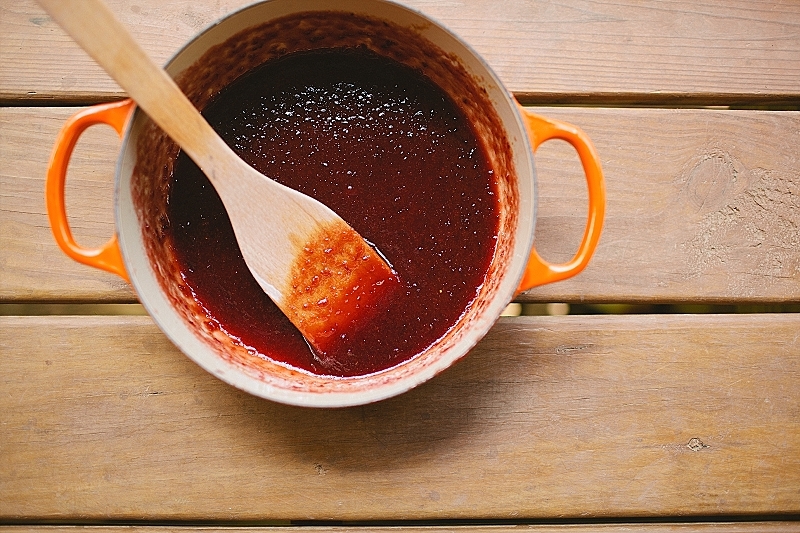 thomas keller's cherry pie + our favorite marinade. Cherry pie is my white whale. It really makes little sense because I had incredible success with my first go-around and nearly every attempt since has been a flop. 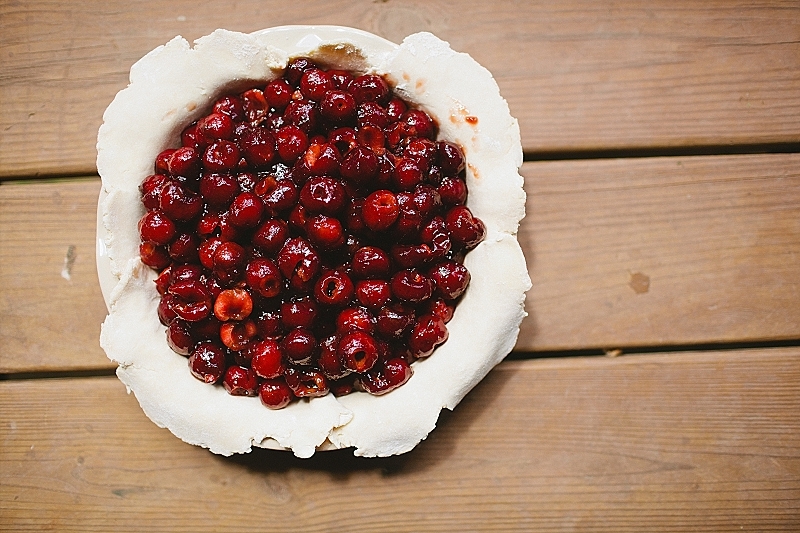 I always end up with a watery jacuzzi of cherry juice pooled up in the bottom of the crust, the plump cherries still intact and bobbing at the surface of the crust. The flavor is always nice, but the texture, people, the texture! It was all wrong. I made multiple attempts using the same recipe and it never turned out. I'm jinxed, I tell you. Jinxed. Of course, Justin always asks about it. He wants it for holidays and guests and not-so-special occasions. I have to sit him down and have a hard conversation about the price of cherries, the laborious task of pitting each one, how it probably won't even be that good. It's like he doesn't even hear me. 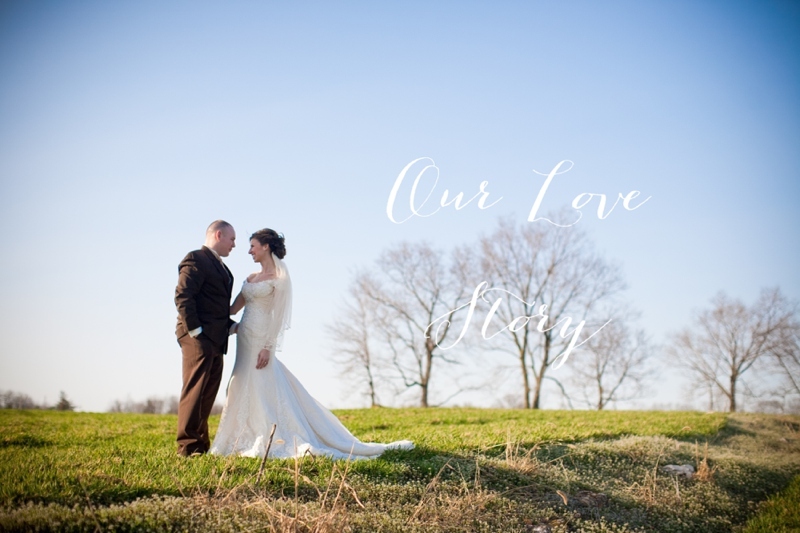 And I am nothing if not a woman in love, and I couldn't turn him down when he asked me to make it for his huntin' buddy and his family (hi, Tuck! ), so cherry pie we shall have. Fast forward through an hour of pitting, crusting rolling, and saying some words for which I've already asked forgiveness, that baby was in the oven. And by "baby" I don't mean the tiny butterball who clung to my leg throughout the entire pie-making process. After a cookout and with a scoop of vanilla ice cream, this pie is pretty perfect. This pie is a little unconventional. 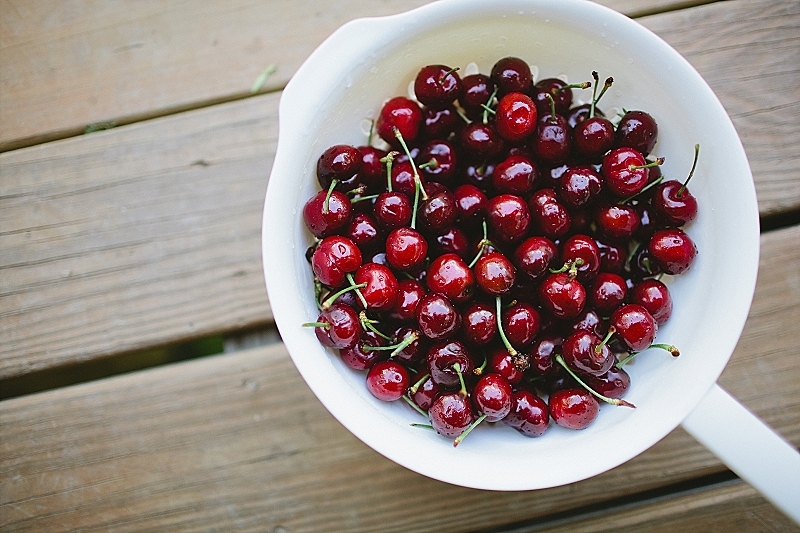 Rather than coating the fruit with flour or cornstarch, you'll puree part of the cherries then cook them down with sugar before adding in the thickener. Vanilla ice cream not optional. Whisk together the flour and salt in a large bowl. Toss in the cubed butter to coat with flour and using your hands or a pastry blender, work the butter into the flour until it looks shaggy and the largest lumps of butter are pea-sized. Drizzle the ice water over the mixture and, using a fork, mix it together. If it is still dry, add more water a tablespoon at a time until it forms a smooth, cohesive dough. Knead it together briefly - the butter bits should be streaked throughout and visible. Visible butter = visible flakiness. Divide the dough into two parts, wrap it in plastic, and pat it into a disk. Chill for at least one hour and up to one day. When ready to bake, generously dust the counter with flour. Allow the chilled dough to rest at room temperature for about 5 minutes. Roll out the bottom to a 14-inch round and the the top to a 12-inch. Keep chilled on cookie sheets until ready to bake. Mix together the cornstarch and water in a small bowl - set aside. Stem and pit the cherries. 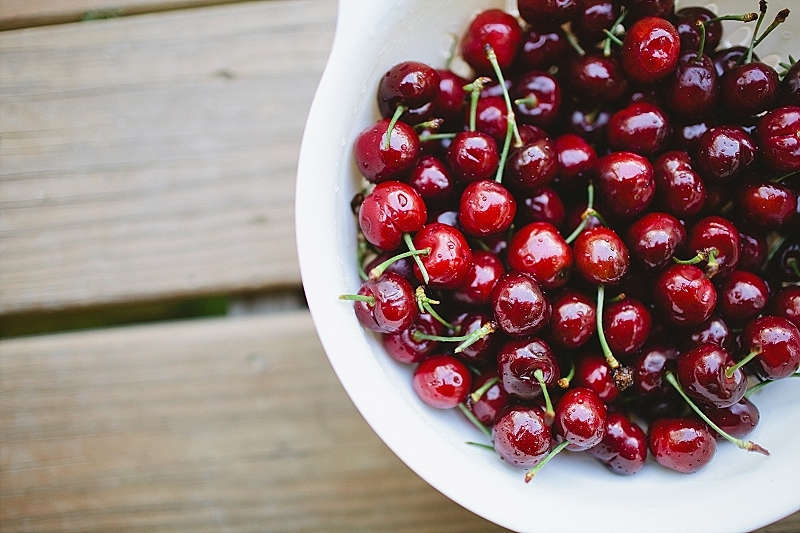 Puree 2 cups of the cherries in a blender - take a taste to check for sweetness. If it's very sweet, use the lower amount of sugar. If it's on the tart side, use the full cup. Put the pureed cherries and sugar into a medium saucepan and simmer over medium-low heat until the mixture is reduced to 1 1/4 cups, about 15-20 minutes, stirring to prevent the bottom from burning. Once reduced, lower the heat and whisk in the cornstarch slurry. Cook, stirring constantly, for 2-3 minutes or until the mixture is no longer opaque. Remove from the heat, stir in the vanilla, and allow it to cool completely. 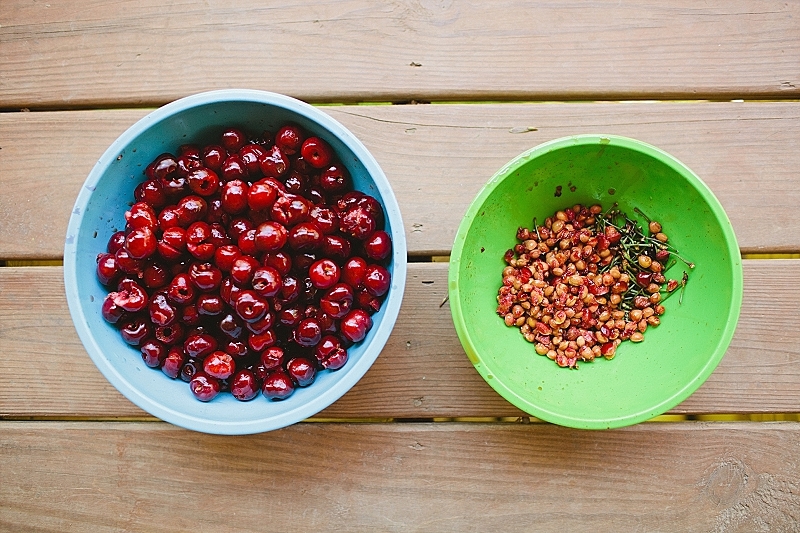 Once cooled, mix the puree with the whole cherries. Line a 9 or 10 inch pie plate with the bottom crust, tip in the filling, and top it with the second crust. 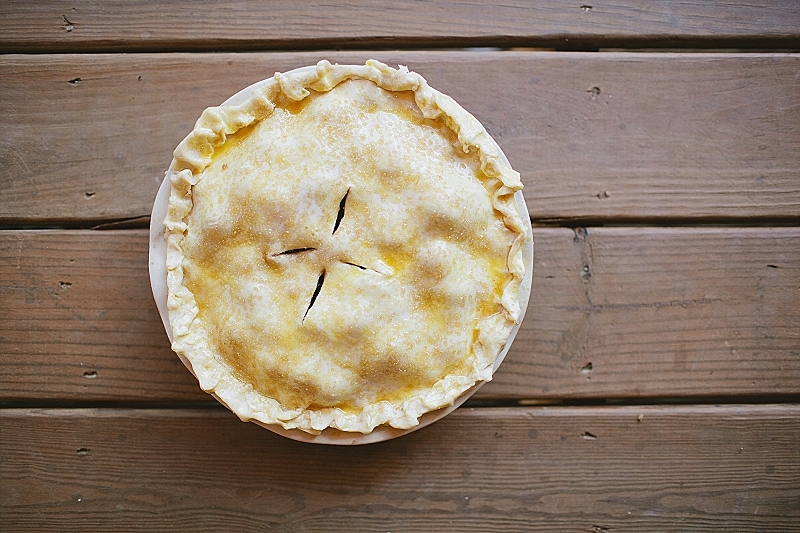 Pinch the seams together and crimp the edges, brush the entire top crust with a beaten egg and sprinkle with sugar. Slice a few slits into the top to allow for steam. Bake on the bottom rack of the oven at 400 degrees for 20 minutes. Reduce the heat to 375, move the pie to the middle rack of the oven, and bake or 25-30 minutes more until the crust is golden brown. Allow to rest at room temperature for 2-3 hours before serving. Now if you had dessert, you'll also need dinner. 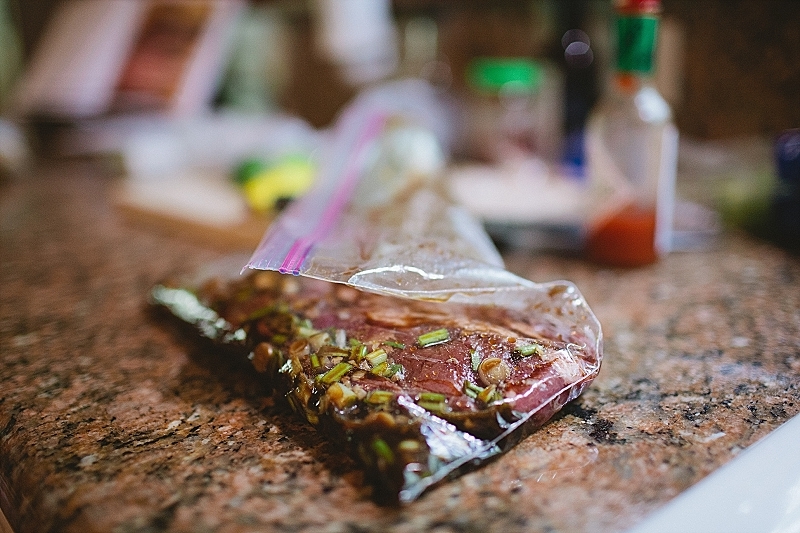 This is our absolute favorite marinade, our throw-a-bunch-of-stuff-into-a-bag kind of recipe. It's a little smoky from the sesame oil, a little spicy with raw garlic and hot sauce, with a slight pungency from the green onions and a crisp lacquered crust from the brown sugar. 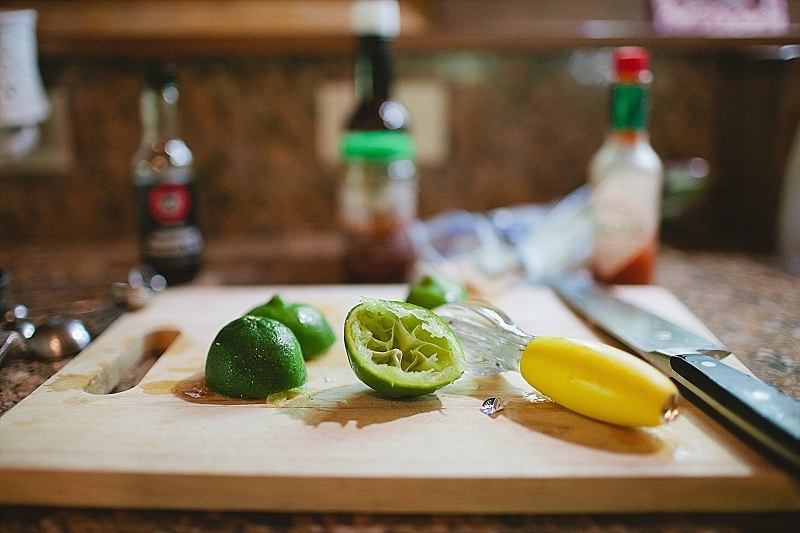 On more than once occasion, I didn't have a lime or I didn't measure the soy sauce, and it always turns out delicious. Be careful not to skimp on the sesame oil. You'll want a deep, dark sauce for the best flavor. We use a flat iron steak, it's cheap and tender and grills up beautifully, but you can use whatever cut you like. 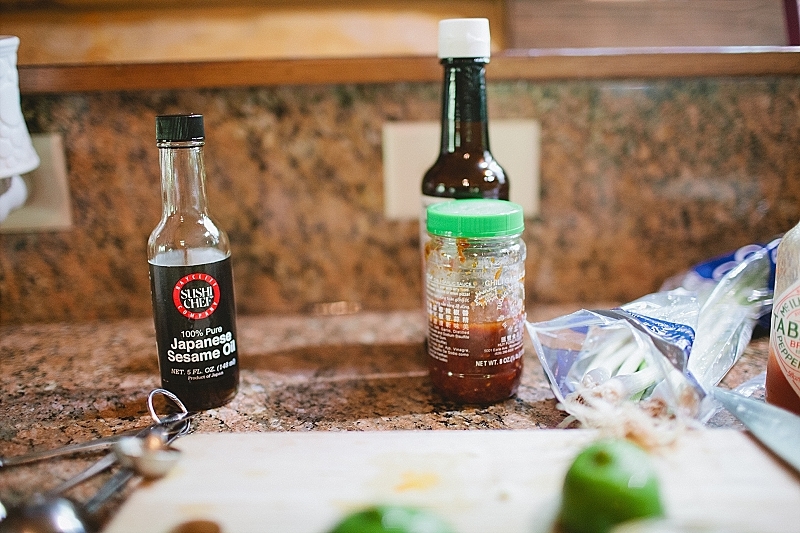 You can marinade it overnight, but it really needs at least four hours for maximum enjoyment. 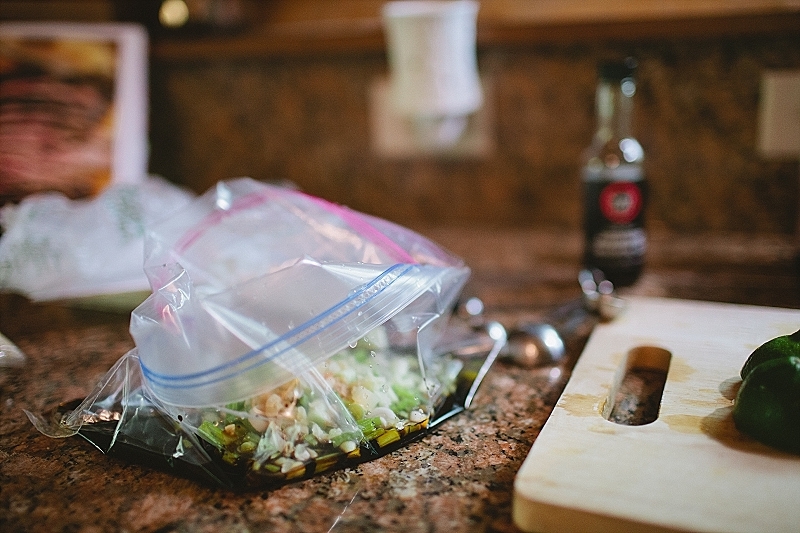 Add all the marinade ingredients to a large Ziploc bag. Add the steak, seal it, give it a massage and try not to make inappropriate jokes. Chill in the refrigerator for about 4 hours. 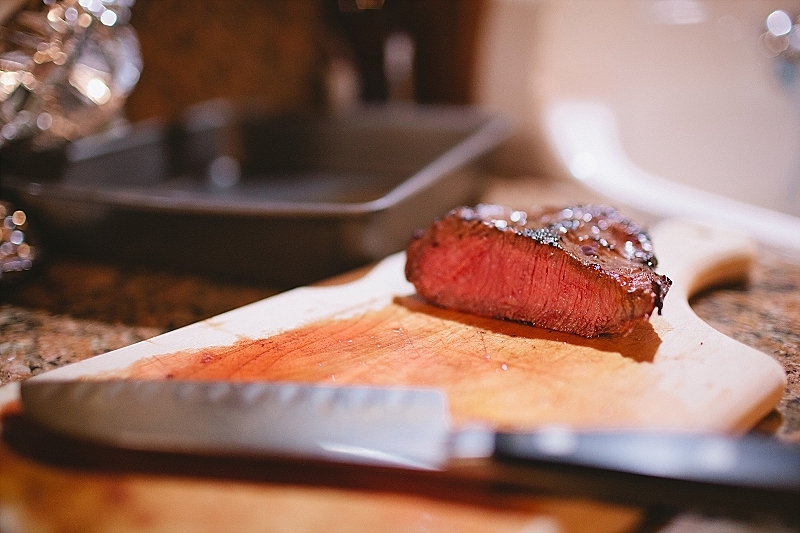 When it’s time to grill, cook about 4 minutes per side for medium rare. Wrap it in foil and allow it to rest for ten minutes before cutting. Slice against the grain and serve hot.